Assess your space before adopting a pet. 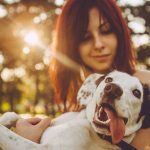 If you live in a smaller apartment, high-energy dog breeds will have a tough time to run around inside the house and will need more time outside to compensate. Do you have enough time to take you dog outside every day? You also need to understand if your dog requires supervision. However, it is also necessary for dogs to have daily access to the outside world. If you are adopting a pet, ensure that you have daily free time that you can spend with your pet. 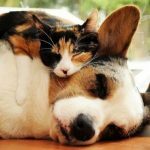 Though cats can be extremely cuddly but they are far more independent when compared to dogs. However, most cats are still affectionate and playful. This is only possible if you help them socialize at an early age. However, if you are looking for a pet ‘soul mate’, you should consider adopting a dog. Are you thinking about adopting a pet? If so, visit our website at savearescue.org. You can also call us up at (888) 440-6467.